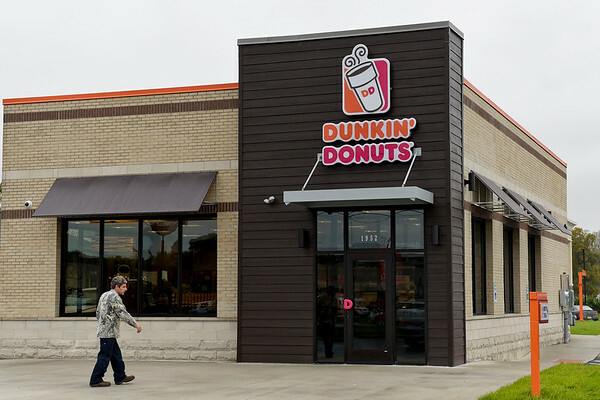 A man walks into the new Dunkin Donuts Monday at 1952 Lincolnway East in Goshen. Construction on the new doughnut restaurant began in April and the store opened last Friday. "We're so excited to be a part of the Goshen Community," Ryan Rans said, who is the landlord and partner with the Sack of Donuts LLC franchise that operates the store.